In the worship of security we fling our lives beneath the wheels of routine — and before we know it our lives are gone. 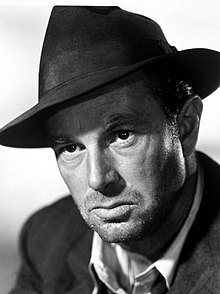 Sterling Hayden (March 26, 1916 – May 23, 1986) was an American actor, writer and seaman. During World War II he served allied forces as OSS agent John Hamilton in Italy, with duties that included sailing with supplies to Yugoslav partisans and parachuting into fascist Croatia. What confuses me is I ain't all that unhappy. So why do I drink? I don't know. On his heavy drinking during the filming of Leuchtturm des Chaos (1983) [Pharos of Chaos or Lighthouse of Chaos], a documentary on his life and career. Your mind flies free and you see yourself as an actor, condemned to a treadmill wherein men and women conspire to breathe life into a screenplay that allegedly depicts life as it was in the old wild West. To be truly challenging, a voyage, like a life, must rest on a firm foundation of financial unrest. Otherwise you are doomed to a routine traverse, the kind known to yachtsmen, who play with their boats at sea — "cruising," it is called. Voyaging belongs to seamen, and to the wanderers of the world who cannot, or will not, fit in. If you are contemplating a voyage and you have the means, abandon the venture until your fortunes change. Only then will you know what the sea is all about. "I’ve always wanted to sail to the South Seas, but I can’t afford it." What these men can’t afford is not to go. They are enmeshed in the cancerous discipline of "security." And in the worship of security we fling our lives beneath the wheels of routine — and before we know it our lives are gone. What does a man need — really need? A few pounds of food each day, heat and shelter, six feet to lie down in — and some form of working activity that will yield a sense of accomplishment. That's all — in the material sense, and we know it. But we are brainwashed by our economic system until we end up in a tomb beneath a pyramid of time payments, mortgages, preposterous gadgetry, playthings that divert our attention from the sheer idiocy of the charade. Where, then, lies the answer? In choice. Which shall it be: bankruptcy of purse or bankruptcy of life? What follows is not a blueprint for the man entombed; not many people find themselves in a situation paying a hundred and fifty thousand dollars a year (as if any man is worth that much). But the struggle is relative: it's a lot hard to walk away from an income like that than from a fraction thereof. Why did you never write? Why, instead, did you grovel along, through the endless months and years, as a motion‑picture actor? What held you to it, to something you so vehemently professed to despise? Could it be that you secretly liked it — that the big dough and the big house and the high life meant more than the aura you spun for those around you to see? Hayden's wild," they said. "He's kind of nuts — but you've got to hand it to him. He doesn't give a damn about the loot or the stardom or things like that — something to do with his seafaring, or maybe what he went through in the war . . ."
Sure you liked it, part of it at least. The latitude this life gave you, the opportunity to pose perhaps; the chance to indulge in talk about “convictions — values — basic principles.” Maybe what kept you from writing was the fact that you knew it was tough. Maybe what held you to to acting was the fact that you couldn't lose — not really lose, because you could not be considered a failure if you had not set out to succeed... and you made it quite plain that you didn't give a damn. And yet, you did hate it. Perhaps you were weak, that's all. You hated it because you knew you were capable of far more. You hated the role of an actor because, in the final analysis. an actor is only a pawn — brilliant sometimes, rare and talented, capable of bringing pleasure and even inspiration to others, but no less a pawn for that: a man who at best expresses the yearnings and actions of others. Could it be that you thought too much of yourself — that you could not accept sublimating yourself to a mold conceived by others, anyone else on earth? I'll make no bones about it, I'm thinking of quitting analysis. When a man's bogged down, when the thing he is trying to do isn't working out, then he has to damn good and well change his way of living. If you would only hold out some hope to me, then it might be different. I'll say this, too, that if it hadn't been for you I wouldn’t have turned into a stoolie for J. Edgar Hoover. I don't think you have the foggiest notion of the contempt I have had for myself since the day I did that thing. He is essentially a seaman and has demonstrated great skill in handling small vessels on clandestine missions along the Dalmation coast. He has great courage and has shown an almost reckless disregard of his own life where duty is involved. Actor Sterling Hayden — working under the assumed name John Hamilton — parachuted into Croatia and was strafed by German planes. No wonder he was so convincing as Gen. Jack D. Ripper in Dr. Strangelove. He left nine years of seafaring and his early Hollywood acting career to join the Marine Corps and the OSS under the assumed name of John Hamilton in 1941. His mastery of the seas — he was first mate on a schooner voyage around the world in 1936 and captained a ship from Gloucester, Mass., to Tahiti in 1939 — led OSS officials to have him set up secret shipping operations based in Italy. He was attacked by the Germans and operated behind enemy lines in Croatia. This page was last edited on 30 May 2018, at 11:42.